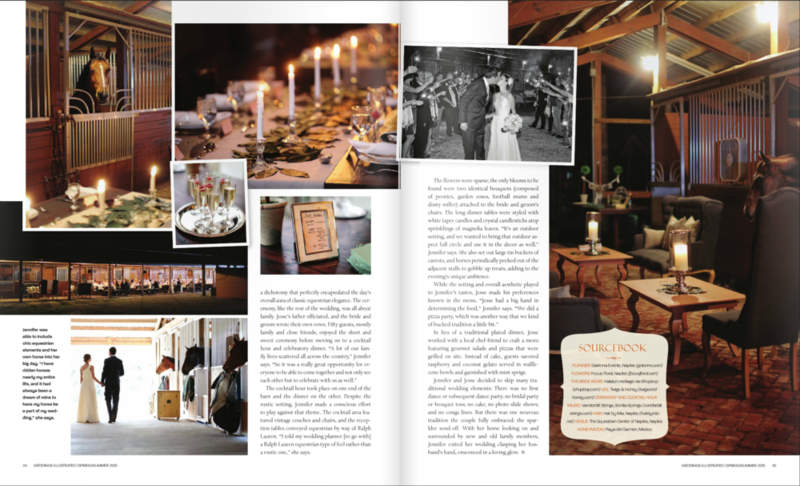 Jennifer & Jesse's Equestrian Wedding is published in Weddings Illustrated! We absolutely adored this elegant equestrian soiree and love seeing it in the pages of Weddings Illustrated, on stands now... with GalAnna Events, Focus Floral, Niche Event Rentals, Taylor Rentals, and Hair by Mia. See more of this loveliness here.